Who doesn’t love road trips, especially in a foreign city that’s so rich in history and culture? No one! Being on the road is such an enriching experience. While Florence and the rest of the Tuscany area are easily navigated by trains, driving around gives you a totally different appreciation to the city. Tagged as the home of Renaissance, Florence is such as a beautiful city that one must visit at least once in their lives. The city offers a lot of diversity and richness that you never want to miss out. So if you’re in Florence, hop on that car, tune in your favorite playlist, and start experiencing the best of the city even if you only have budget for 3 weeks. 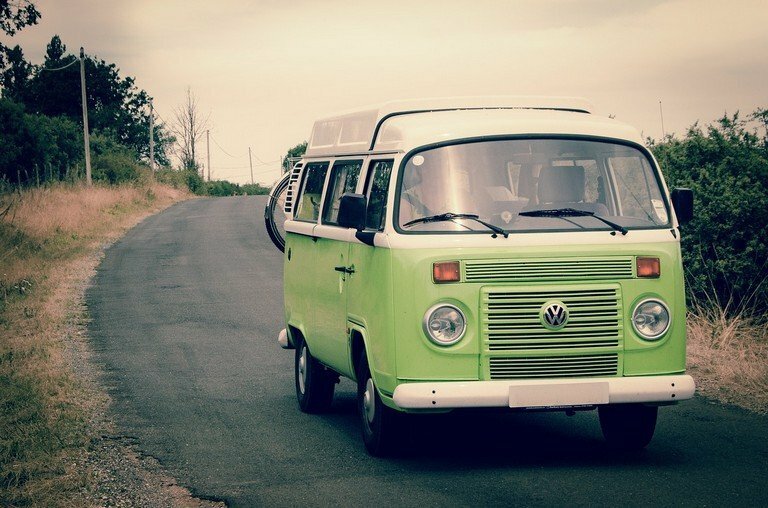 But if you are feeling a little more adventurous, why don’t you go for a road trip across Europe, check out this guide for Europe on a campervan. 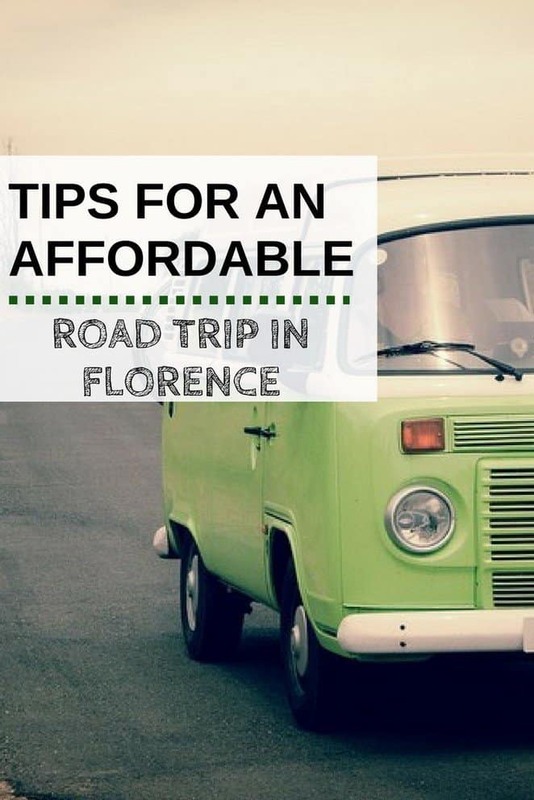 To make sure your affordable road trip in Florence will be an unforgettable one, make sure to spend a little extra time in deciding about which car to rent. Remember to compare car rental deals in Florence, don’t just go with the cheap one, choose the company with great reviews, amazing features, and of course meet the necessary coverage. The last thing you want to happen on your road trip is to run into big problems. Unknown to many tourists, the streets around Florence often get too busy during rush hour, which is typically 8 in the morning and 7 in the evening. This coincides with the start and end of office hours in the city and the traffic situation becomes quite annoying as there are tons of people on the road. Deciding which season you are going is also a major factor, road trip packing list should be written down carefully to make sure you keep yourself warm enough or comfortable enough. Starting your road trip at an earlier time will get you to cover more places while avoiding the traffic rush. This may be a no-brainer, but with the advent of Waze or Google maps, bringing an actual, printed map on a road trip is no longer a requirement. Not in Florence though – it is still safer and more convenient to get a local map, they’re more accurate and they’re more fun to use, too. If you feel safer to have a digital map like I do, make sure you stay connected while travelling abroad without spending too much. Because most of them are not typical, really! Italians are quite known for their slight crudeness on the road – unnecessary honking or flashing cars out of nowhere. Parking can be a pain, too. Remember though that these are common in Florence and the rest of the Tuscany area, so just make sure you know that these things may happen often while you’re on the road. Driving around Florence is not all chaos though, so don’t be discouraged. In fact, tourists love road tripping around the area because there are tons of inexpensive car rentals, some are available for as low as €7 per day, depending on the type of car. Renting a smaller car, if possible, will save you tons of money on gas as well. Gas price in Florence usually starts €1.45. When you’re in Florence, it’s almost a crime to not see a museum. There are tons in the city and even if you’re not into art or history, it’s a guarantee that you’ll find one that you’ll appreciate. The Uffizi Gallery, for one, is something every Florence visitor needs to see – it’s one of the most famous museums in Europe and houses the most unique and artistic pieces of Michaelangelo and Leonardo Da Vinci. On peak dates, advanced ticket reservation is necessary to avoid long waits. If you’re looking for a more dynamic and diverse collection, the Palazzo Strozzi is worth a visit, too. The Museo Galileo is another one for the books – it features interesting hands-on exhibitions for both kids and adults, so this museum is certainly a must-visit if you’re traveling with the family. Also, check out our must-see museums in Florence list. Apart from the most interesting museums in the world, there are other places and attractions that you wouldn’t want to miss while driving your way around Florence. The world-famous churches like Florence Cathedral, Medici Chapel, and Brunelleschi’s Dome. If you are more of a traveler who craves for the sense of being a local, take a stroll around San Lorenzo Market or climb the Florence’s Duomo for such breathtaking view of the city. It takes about 450 steps, so make sure you can bare this high climb before considering to go here. Check this out if you need more ideas for things to do in Florence. If your time permits, I really suggest you check out the world popular leaning tower of Pisa for a day trip from Florence. Despite the undeniable beauty of Florence, your road trip won’t be complete without visiting other parts of Tuscany. If you have limited time, don’t forget to explore other towns just a few kilometres outside Florence. If you love the nature, make sure Montaine is on your list, just 35 kilometres Southwest of Florence, Montaine is known for its beautiful scenery, vineyards, olive trees, and simply its forest. While Borgo San Lorenzo is known for its hilly tops overlooking forest after forest, vineyard after vineyard. It’s a perfect place to enjoy a fresh air or do a picnic. If you like a little bit view of an old town scenery Calenzano is your place, the houses are from Medieval times, the roads, walls, and churches are all something that will make you feel like you are in a time machine. There are more towns to explore not far from Florence or if you have more time, go check the nearest cities, just make sure you are experienced in road tripping around Italy. Wherever you are in Italy, Italian food is something you should never ever miss. Florence has a lot to offer in the gustatory department and your budget doesn’t even matter! 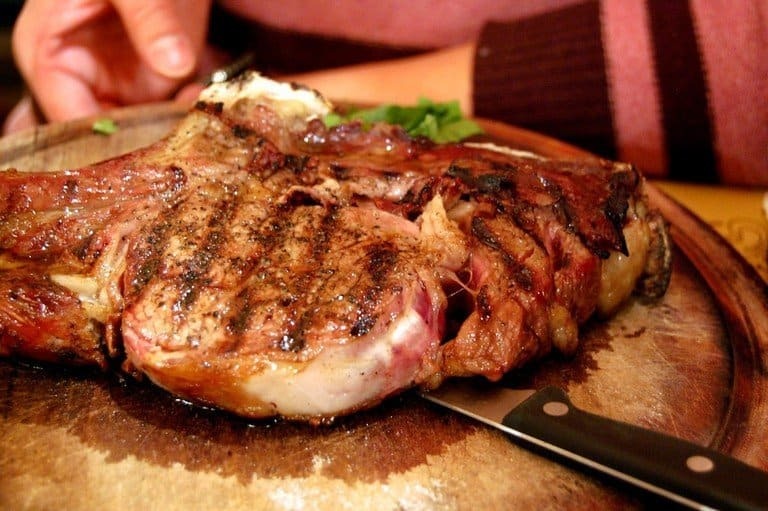 Experience Lampredotto, a tourist favorite that is served either as a street food or a fancy sandwich, or the ever famous Bistecca alla Fiorentina, which is a fire-grilled smokey t-bone steak cooked over chestnuts. The steak is cooked ‘rare’ and that is the only way it’s cooked – so forget about asking your chef for a well done one. 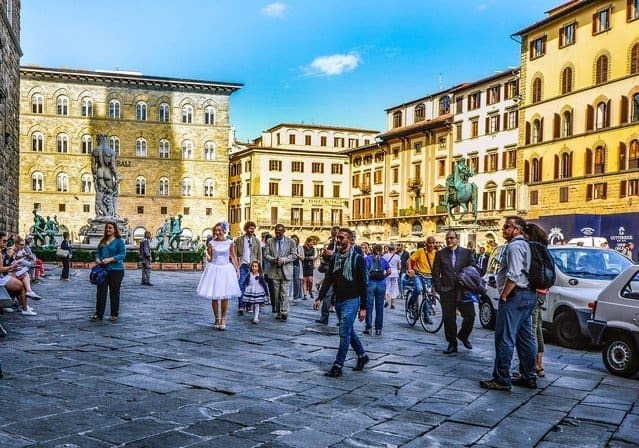 If you have the time, you can also try and join a cooking class, a food tour in Florence, or other best tours in Florence. Don’t end your road trip without having a gelato for dessert!